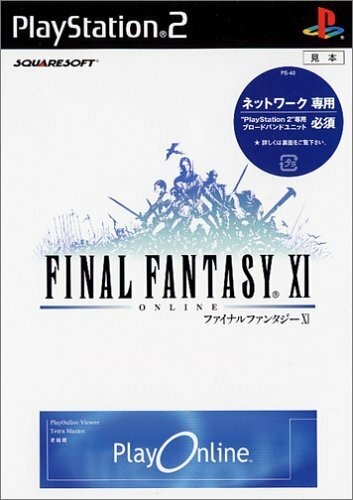 Final Fantasy XI (ファイナルファンタジーXI Fainaru Fantajī Irebun? ), also known as Final Fantasy XI Online, is a massively multiplayer online role-playing game (MMORPG) developed and published by Square (later Square Enix) as part of the Final Fantasy series. It was released in Japan on Sony's PlayStation 2 on May 16, 2002, and was released for Microsoft's Windows-based personal computers in November 2002. The PC version was released in North America on October 28, 2003, and the PlayStation 2 version on March 23, 2004. In Europe, only the Windows version was released, on September 17, 2004. An Xbox 360 version was released worldwide in April 2006 for all regions, as the system's first MMORPG and the first cross-platform MMORPG. All versions require a monthly subscription to the game and the Xbox 360 version does not require an Xbox Live Gold account to play. The story is set in the fantasy world of Vana'diel, where tasks can be performed to improve a character's powers or to complete quests. Players are able to customize a character that they will guide through the story. There are also thousands of quests that allow players to gain various rewards, as well as a growing number of player versus player competitions.